"Tai chi does not mean oriental wisdom or something exotic. It is the wisdom of your own senses, your own mind and body together as one process." You are now on our list. Thanks for joining! Tai chi helps reduce stress and anxiety. And it also helps increase flexibility and balance. It can be learned at any age from, 10 - 90 at any level of fitness. 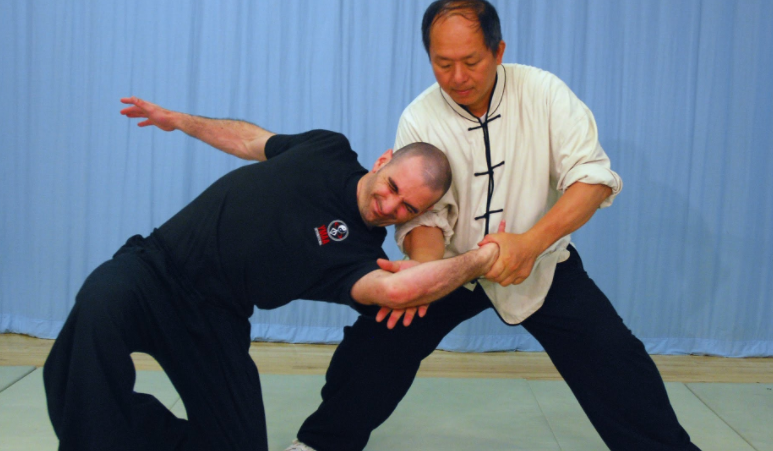 Tai Chi is now mainly taught for health, but the form can also be taught as the original martial art created for self-defense (image: Dr. Yang of YMAA). Tai Chi is a meditative practice and once learned can be incorporated into your personal disicipline as moving meditation. “Tai chi is often described as 'meditation in motion,' but it might well be called 'medication in motion.' There is growing evidence that this mind-body practice has value in treating or preventing many health problems. And you can get started even if you aren't in top shape or the best of health.